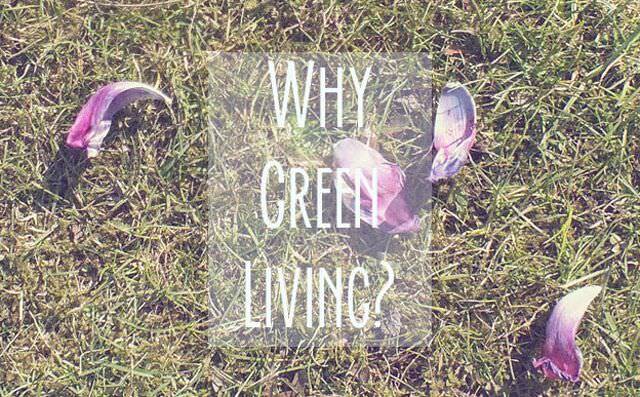 Why is green living important to me? You might wonder, why did I choose to start a blog that deals with the topic of the environment? Maybe you think ‚Oh no, not another organic-food eating girl who can talk about nothing but all the great things she does for the environment and poor people‘. I guess you are even right a little bit. A lot of the people who fight for change in environmental issues can be pretty obnoxious and seem as if they hate a lot of the things that are a lot of fun, even if they aren’t good for anything (shopping for example, or eating at the big bad corporation MacDonalds). You know what kind of people I know, right? The preachers. The ones that stress out about every little detail and give you bad looks if you can’t follow perfect standards. Well, I don’t want to preach. To be honest I don’t really have a clue about most of the topics that I want to learn or write about. Or not a bigger clue than most people. But this blog is there to help us grow, both you and me. I want to know at which companies it is okay to buy and which are relying mostly on child labour and slavery. I want to eat only seasonal fruit and vegetables (alas know what is in season at what time). I want to be more long-sighted when it comes to shopping for clothes and get items that I can wear for years and years. Because these topics are important. Never mind what the cliché on eco-activists is. I’m really looking forward to reading up on this and getting a clue. I hope you are, too. And there’s another common assumption. Green living = only wearing brown and green stuff, no make-up, no pretty knick-knacks, no glitter, only granola. Well, I love pretty stuff. So I am also on the look-out for beauty tips and pretty shops that have taken up the cause of our environment as well. And of course, I will be sharing them with all of you. So, green living is important. And it can be fun. Now let’s find out how!